Over the last week the University welcomed 65 ERASMUS/ exchange students to Surrey, students from all 3 faculties. These students are with us for this semester. We also welcomed 40 new PGT students. 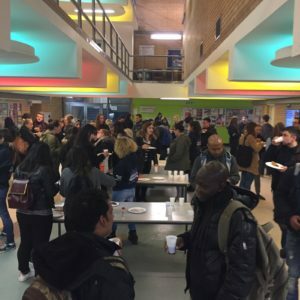 The central University services welcomed them with a talk about the support services at Surrey, plus an evening talk about life in the residences for those studying with us, followed by a pancake social attracting around 50 new students. Want to know what other services are up to?